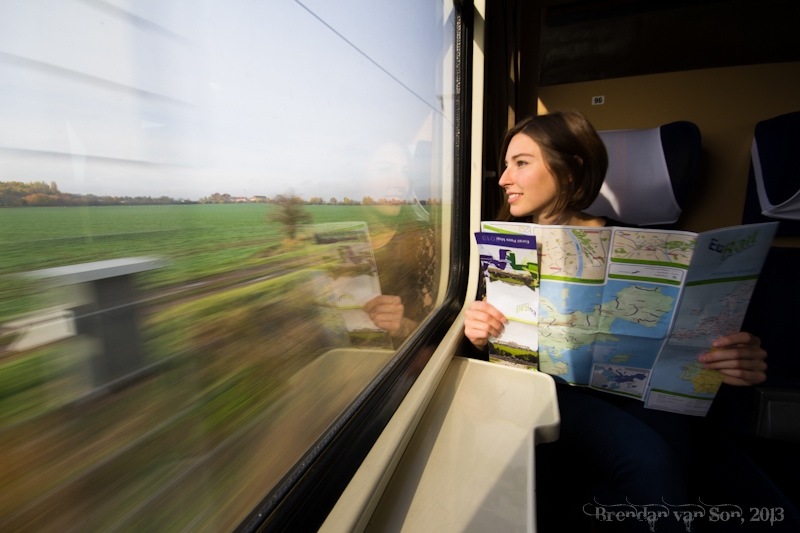 Dying for an escape from the cities of Europe, even just for a day, I plop myself down on the train with my Eurail pass in hand and camera bag strapped to my back. 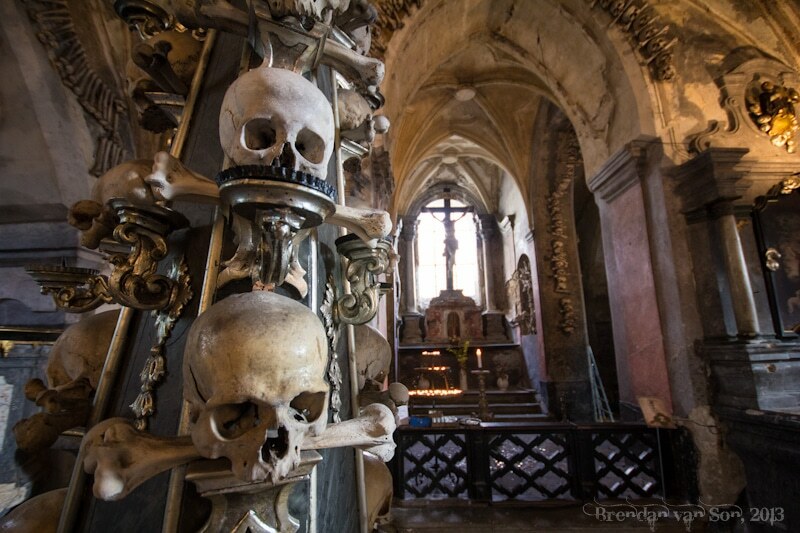 During a quick bit of research yesterday, I stumbled across a couple photos of a bone church outside of Prague. 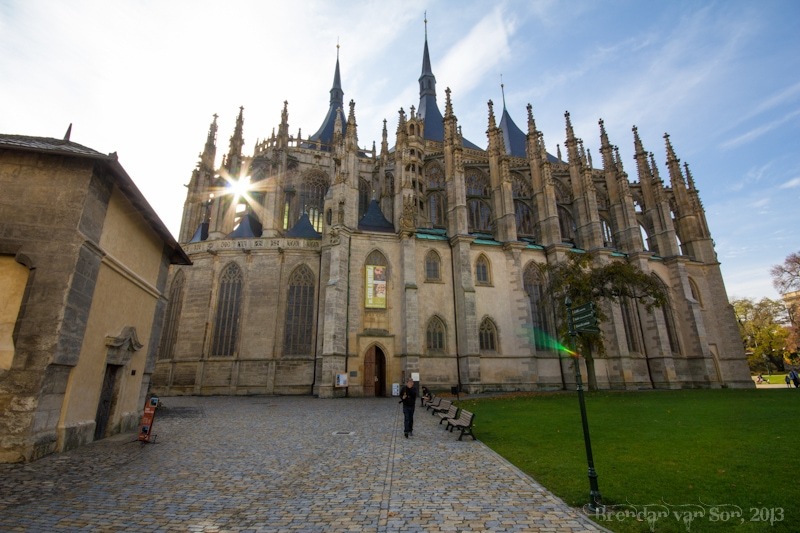 Since then a day trip to the town of Kutna Hora became a priority. The train rumbles through the Czech countryside which rolls along quite blandly. Occasionally, I’m given a reminder that I’m in Eastern Europe; a heavy industrial site along the tracks, a rough looking town, and a language with a Slavic tune. But for the most part, I can’t help but feel stuck in the state of normalcy I’ve felt since arriving in Europe. It feels a bit bland to me, it all does. 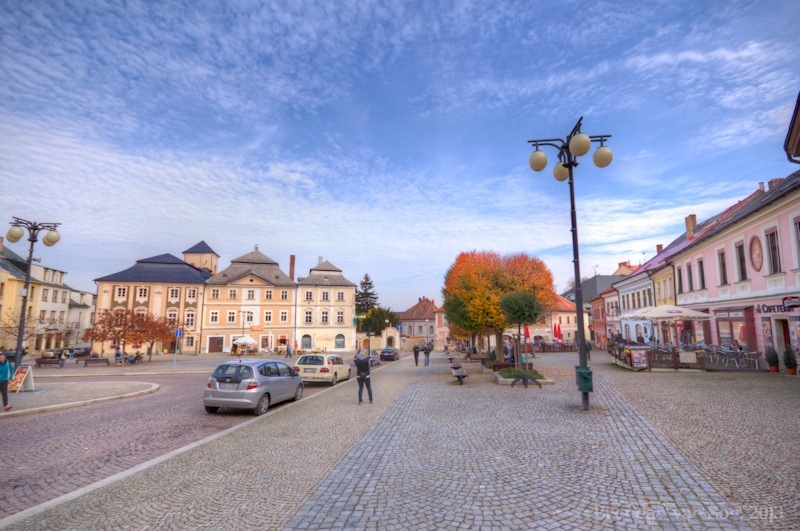 The train pulls into to town and I wander through the village of Kutna Hora with a renewed energy. It feels raw, and much more real. The buildings have worn and some show their bricks, and the price of beer on a roadside sign from a pub reads about $1. My feet pull me up the hill towards a church I’ve assumed to be filled with bones. A walkway of statues leads me towards what seems to be a very normal church, and after paying my entry fee, I realize that I have indeed entered a very normal church. My lack of preparation has led me on a self-guided tour of a church I hadn’t intended on seeing. But still, I’m in the right town, aren’t I? I walk back down into town with my Nokia Lumia 1020 open searching for WiFi so I can understand my folly. Once I find some, I google “the bone church” and realize I hiked the hill for nothing. 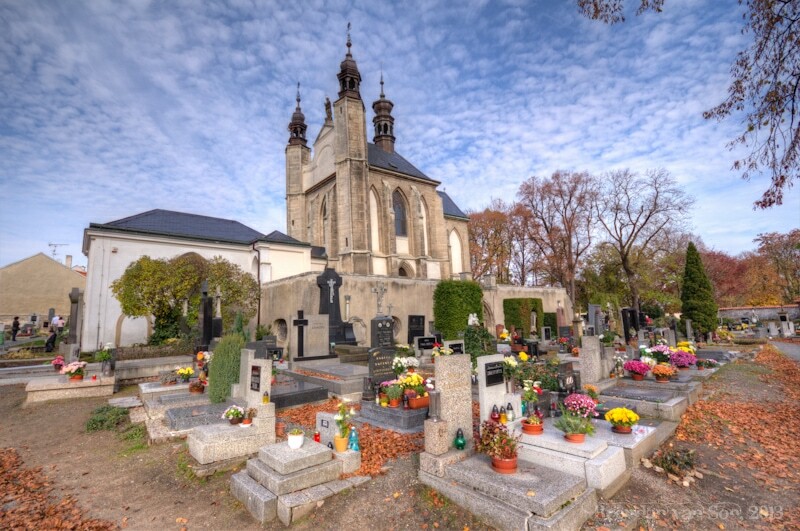 The bone church, properly named Kostnice Ossuary or Sedlec Ossuary, is actually down in the flats of town. The bone church too doesn’t look anything out of the ordinary from the outside. Aside from a crowded cemetery, the grounds look like any other small town European church. As soon as the doors enter, however, things change. A wall of human femurs, tibiae, and scapulae stand hanging on the wall in decoration. Down the stars into the poorly lit cavern of a church a curtain of human bones coats nearly every available inch of the wall. 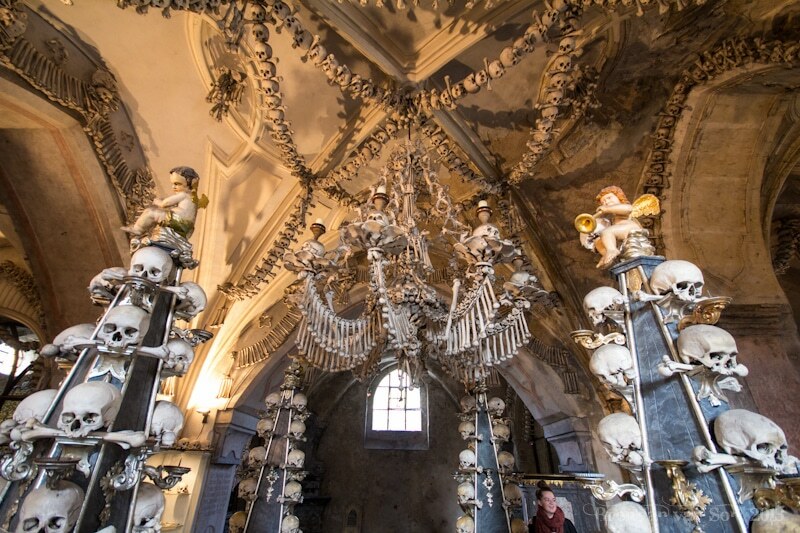 In the middle, a bone chandelier hangs with the arms of dozens of people dangling carelessly. There are four pillars that surround the chandelier featuring skulls chewing down on tibiae; atop them, creepy dolls with menacing looks on their faces. Along the roof, strings of skulls and bones hang. A dome in the church is completely filled with carefully staked former limbs. On a gate, a shield has been designed featuring a man with a parrot made of human bones on his shoulder. In the only bit of light in the church, a cross with a statue of Jesus casts a shadow. Everywhere you go there are bones. The story is that the priest of the church once visited the place that Jesus was crucified and brought back a bit of dirt which he scattered over the grounds. Assuming this to be sacred ground, everyone in the region wanted to be buried here. Once the cemetery filled, they started bringing the remains into the church itself. 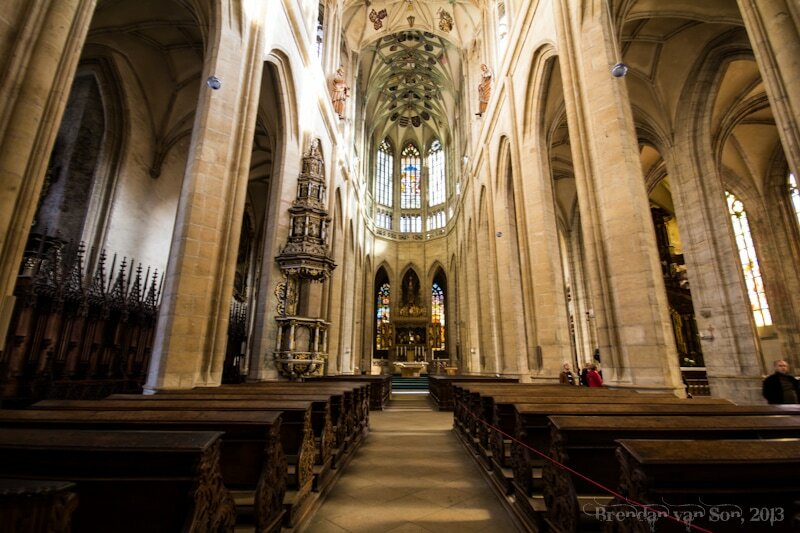 One would expect a church filled with bones to have a satanic feel to it. One would expect a bone church to make you feel uncomfortable. 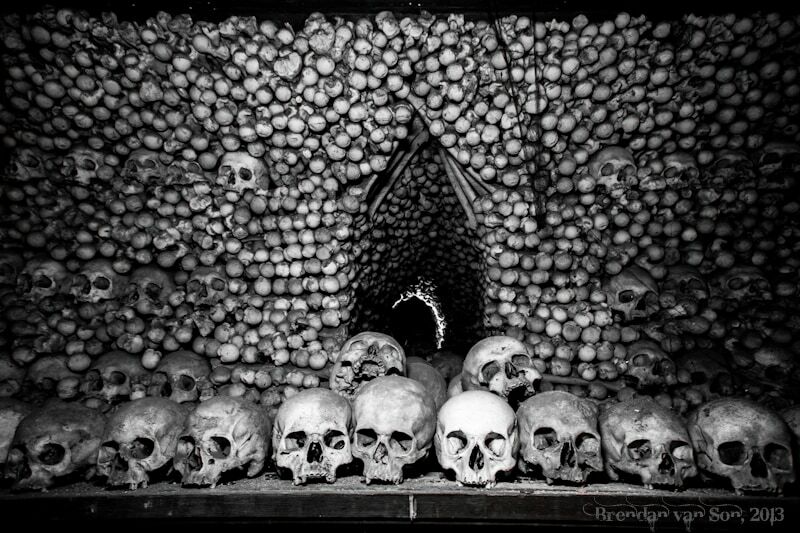 But there really is something about Sedlec Ossuary that is comforting and inspiring. There is a softness to the room, and something explicable that happens under the roof. And as I jump onto the train back to Prague, I feel like today, for the first time thus far in Europe, I saw something completely new, something thought provoking, something truly worth writing about. Wow, this is really interesting! I’ve not heard of it before. Amazing that it didn’t have a darker feel to the place. It’s very beautifully created. Right? 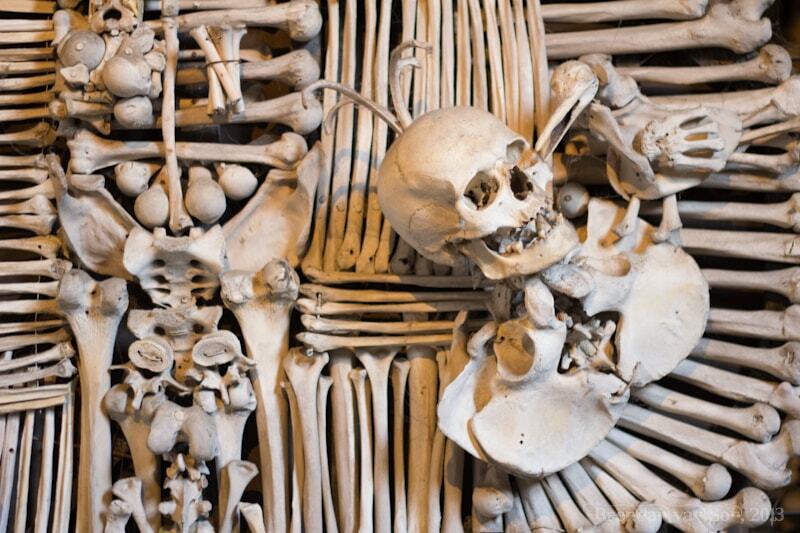 Amazing they can design a church with bones and not make it feel like Halloween.